The Thomas M. Siebel Center for Computer Science was designed by Bohlin Cywinski Jackson and executive architects, LZT Associates/Larson & Darby Group. Located in Urbana, the academic building was completed in 2004. The Siebel Center, home to thousands of computer science students and faculty, is one of the most technologically advanced buildings on the University of Illinois in Urbana-Champaign campus. 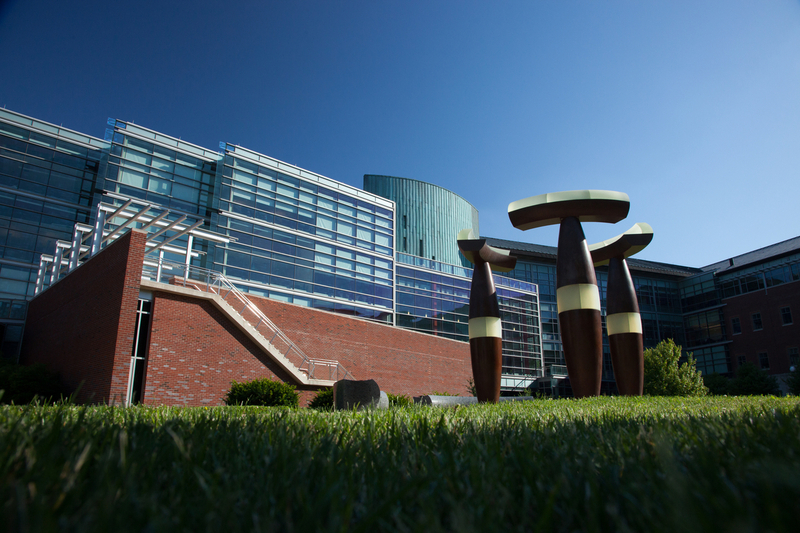 In 1999, alumnus Tom Siebel generously donated $32 million for the construction of a modern building, and with additional funding from the state of Illinois and the university itself, the building was complete in under three years. After the construction of the building was completed, the building hosted a three-day celebration (April 29-May 1, 2004), during which Thomas Siebel was one of the speakers. The building served as a “new home to one of the world’s leading centers of computer science research (“About the Siebel Center”)”; and several comments were made about the exquisite computer-animated model of the building, suggesting that it be used to create a map for first-person video games (Kaap). Peter Bohlin designed the Siebel Center with open areas that extract natural light, thus filling the interior of the rooms with brilliance and brightness. These qualities encourage inspiration, optimism, and collaboration toward the work being done. Areas within the building provide a sense of comfort and security with its spaciousness: there is plenty of space so movement is easy and crowding is obsolete. The Thomas M. Siebel Center for Computer Science is a building used as a research laboratory and for collegiate classes. It is comprised of private offices, quiet spaces, research and instructional labs, classrooms, seminar and conference rooms, a 200-seat auditorium, and a coffee shop. The architecture firm Bohlin Powell—today known as Bohlin Cywinski Jackson—was founded in 1965. The firm established their practice in Wilkes-Barre, Pennsylvania, and has since branched out to Pittsburgh, Philadelphia, Seattle, and San Francisco. During their years in the architecture profession, they have established themselves as a firm known for exceptional designs, commitment to the practicality of the place and the user, and consistency of intellect and initiative. Bohlin Cywinski Jackson’s work covers a broad area of designs and is alive to subtle places. For many of their academic projects, BCJ designed buildings to emulate the character present in the surrounding university. Bohlin Cywinski Jackson brings “open minded-ness, willingness, gentleness—a soft, yet no-holds-barred approach (Bohlin Cywinski Jackson).” Over their years of practice, they have been recognized for their design abilities with over 540 regional, national and international awards, along with eight national awards from the American Institute of Architects (“Bohlin Cywinski Jackson”). Siebel Center: Image courtesy University of Illinois Public Affairs. Copyright University of Illinois Board of Trustees. 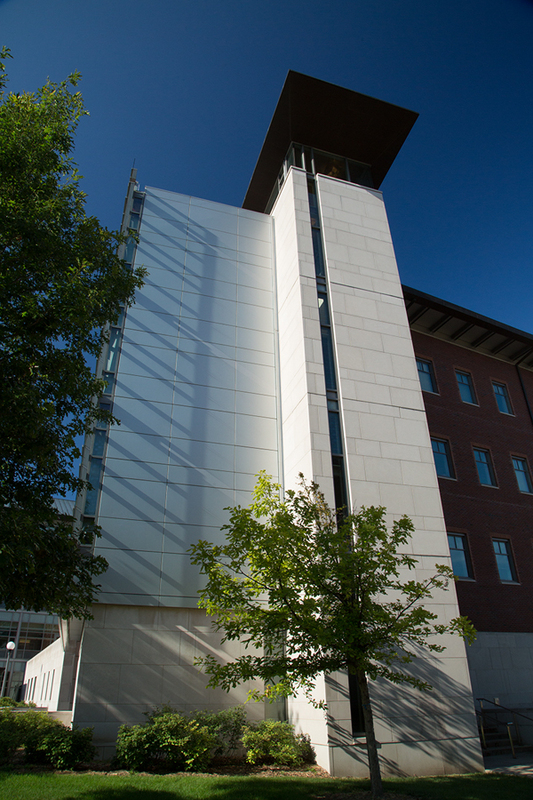 Close up of Siebel Center: Image courtesy University of Illinois Public Affairs. Copyright University of Illinois Board of Trustees. 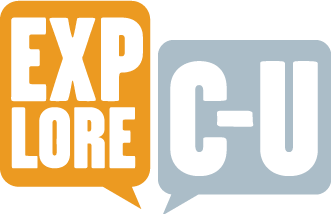 Aiereen Padao, David Sheridan, and Kaela Kiefer, “Siebel Center for Computer Science,” ExploreCU, accessed April 20, 2019, https://explorecu.org/items/show/289. "About the Siebel Center." Department of Computer Science at Illinois. Engineering at Illinois, n.d. Web. 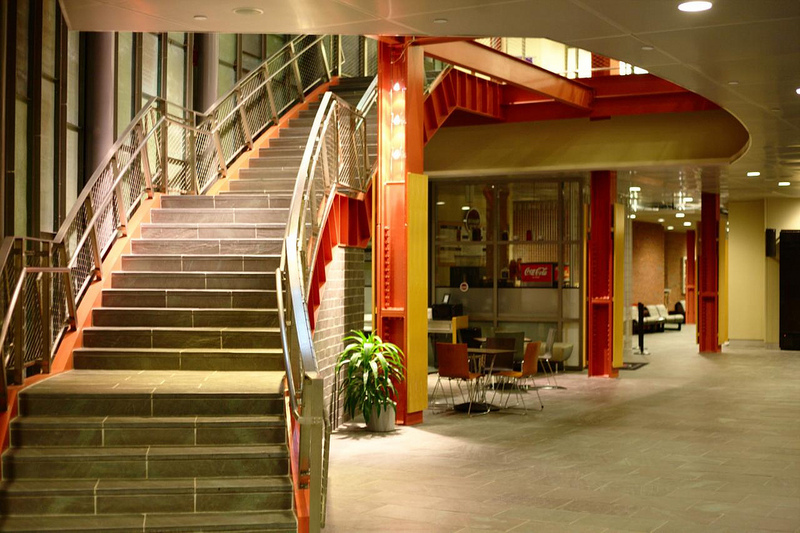 15 Nov. 2013. http://cs.illinois.edu/about-us/about-siebel-center "Bohlin Cywinski Jackson." Bohlin Cywinski Jackson. n.d. Web. 15 Nov. 2013. http://www.bcj.com/public/home.html Kaap, Anthony D. Modeling the Siebel Center for Computer Science: Some Challenges, Benefits, and Applications. n.p., 2005. Print.